When the original The Legend of Zelda was released in 1986, creator Shigeru Miyamoto never imagined how iconic the game would become. After 30 years, a copious amount of adaptations, and over 65 million copies sold, The Legend of Zelda is one of Nintendo’s most successful video game franchises. From NES to the much anticipated Nintendo Switch, the Zelda games have become a cross-generational fan favorite and source of worldwide artistic inspiration. Though the formats have changed, the main components of the Zelda series remain the same. Link—named for his role as the link between the player and the game—must rescue Princess Zelda and save the world from malevolent forces. These missions often include the attainment of the Triforce, an ancient relic consisting of three golden triangles that often correlates to the three main characters of the game. Of course, there are exceptions to the rule. While Ganon is the most recognizable villain, he is not the main protagonist in every Zelda game. Adaptations such as Majora’s Mask and Skyward Sword only allude to Ganon’s existence, while Four Swords omits him entirely. Despite being the games’ namesake, Zelda herself is replaced by alter-ego Tetra in The Wind Waker and lookalike Marin in Link’s Awakening. Additionally, the Triforce is never mentioned in Twilight Princess but remains a symbol on Link’s shield and other Hyrule propaganda. Link himself is the only true constant throughout the series. Until the release of the Hyrule Historia volume in 2011, the timeline of Zelda games remained one of the foremost points of debate amongst Zelda fans. The early Zelda games were marketed as direct sequels and prequels to The Legend of Zelda. The confusion ultimately began with the release of Ocarina of Time in 1998. The puzzlement grew exponentially with the release of The Wind Waker, in which Hyrule had become the equivalent of Atlantis, theoretically making future games impossible. The release of Twilight Princess in 2006 confirmed the emerging fan-theory of multiple timelines: one in which Link was returned to his child form at the end of Ocarina of Time, and one in which he remained an adult. Hyrule Historia revealed the existence of a third timeline, in which Ganon defeated Link at the end of Ocarina of Time, under which the early Zelda games were categorized. This revelation places 2011’s Skyward Sword as the first game in the singular timeline, before the split into alternate endings. Music plays an integral role in the Zelda games. It acts as a mode of transportation, a method of communication, a symbol of friendship, a key, a weapon, and a healer. Its background scores and thematic instrumentals have gained the Legend of Zelda recognition worldwide, and have been featured on Forbes’ Top 12 Videogame Soundtracks of All Time. The Legend of Zelda’s music has even taken on a life of its own outside the video games. When Skyward Sword was released in 2011, it came with a bonus 25th-anniversary bonus special orchestra CD. The orchestra can also be enjoyed live through touring groups like Zelda Symphony of the Goddess and Video Games Live. Independent artists have created their own spin on the classics, like TPR with his hauntingly beautiful renditions in A Melancholy Tribute to the Ocarina of Time and A Melancholy Tribute to The Wind Waker. Musicians aren’t the only artists inspired by the fascinating worlds and magical creatures witnessed in the Zelda games. Los Angeles-based The Zelda Project has created hyper-realistic photo and video clips showcasing the world of Hyrule. In 2016, Elmer Lab released a fan-made trailer for Majora’s Mask that was confused for a Nintendo-owned project due to its amazing quality. In 2015, two Minecraft enthusiasts set out to rebuild The Legend of Zelda in its entirety as a tribute to the 30-year anniversary. As technology evolves, so does the Zelda fandom. The Legend of Zelda—like all games of its era—started out as a two-dimensional, pixelated world. Subsequent games revealed slight visual improvements as the consoles became more advanced. 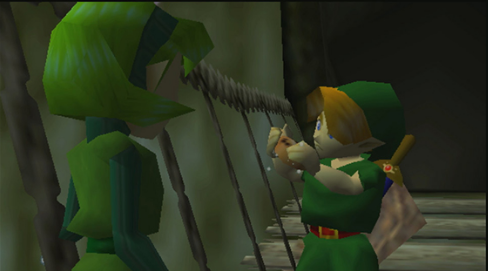 The release of Ocarina of Time in 1998 became the subject of much critical acclaim due to its successful usage of 3D graphics. While many game developers struggled with the new technology that would launch gaming into the new millennium, Nintendo created what is often referred to as one of the greatest video games of all time. Ocarina of Time became the foundation for how 3D games would be created moving forward. Other than a few throwback-style 2D games, most Zelda games released since Ocarina of Time have followed a straight line of evolution based on the graphics available at the time of creation. The exception to this progression is the once controversial release of The Wind Waker in 2002. With its expressly cartoonish appearance, The Wind Waker garnered an outcry from the Zelda fan base who thought Nintendo had taken the easy way out by using an animation technique called cel-shading. 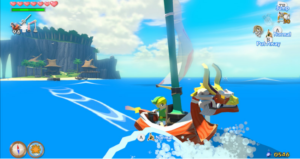 Despite the initial concerns, The Wind Waker became a fan favorite. Its success resulted in the release of a direct sequel on the Nintendo 3DS—The Phantom Hourglass¬¬—in the same art style. In 2013 Nintendo revealed its intention to release a new Zelda game on the Wii-U in 2015. Shortly thereafter, Nintendo withdrew the original release date and indicated that the game would be featured on a new console. After much anticipation, The Legend of Zelda: Breath of the Wild will hit stores in correlation with the Nintendo Switch on March 3rd, 2017. 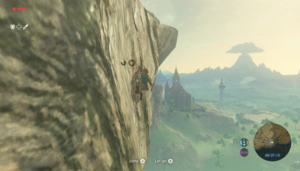 Possibly Nintendo’s most ambitious venture yet, Breath of the Wild boasts a massive open-world environment for players to explore at their leisure. Shrouded in controversy at the time of its release due to the announcement of downloadable content, ¬Breath of the Wild varies greatly from the traditional Zelda games with its non-linear game progression and inclusion of voice acting. 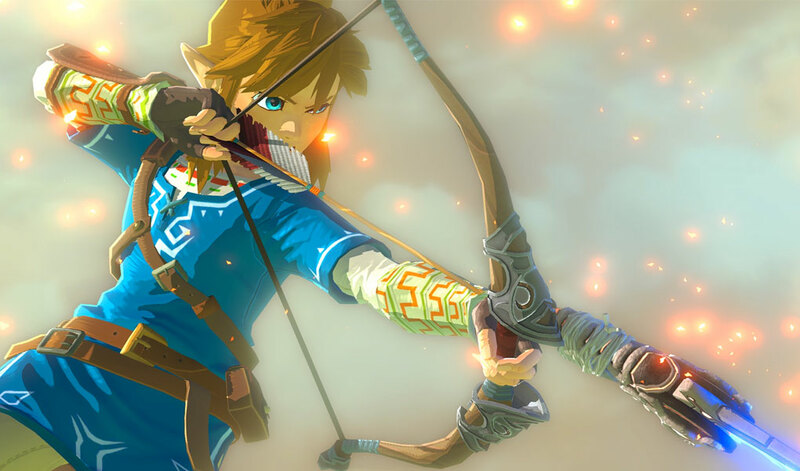 Despite these changes, Breath of the Wild won the Most Anticipated Game award at The Game Awards 2016, and it has received stellar reviews from both game critics and diehard Zelda fans alike. If you find time to play only one video game in 2017, it’s a pretty sure bet you can’t go wrong with this one. Over thirty years ago, a pixelated hero saved the princess and stole the hearts of gamers for generations to come. Breath of the Wild looks as though it has fulfilled the dreams of longtime Zelda fans and perhaps even created the next generation of Hylian heroes. Only time—and a lot of button clicking—will tell. And please, if you do give Zelda: Breath of the Wild a shot, don’t forget to tell us what you think! 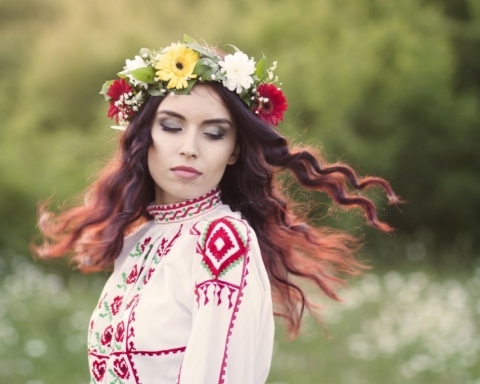 Nikita Ross is a freelance writer and self-proclaimed bibliophile with a background in social media management, marketing and event coordination. An avid traveler, Nikita’s adventures have taken her on a road trip through Iceland and backpacking through Peru. When she’s not planning her next great escape, Nikita can be found writing or reading with coffee in hand.